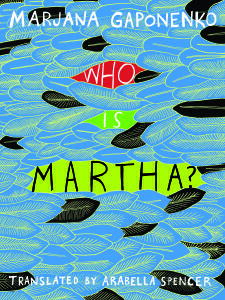 Ersi Sotiropoulos, author of What’s Left of the Night, discusses her book about C.P. Cavafy with Wall Street Journal literary critic Sam Sacks on Wednesday, April 24, 7 p.m. at Strand Books in New York City. 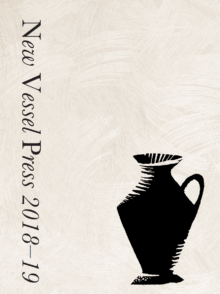 Click here to download the New Vessel Press 2018-19 catalogue. 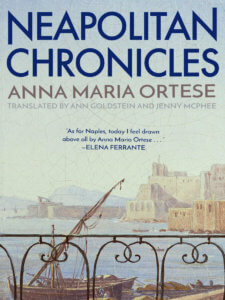 We’ve organized several readings from Italian writer Anna Maria Ortese’s seminal collection Neapolitan Chronicles, translated by Ann Goldstein and Jenny McPhee. Below please find a schedule below. Tuesday, March 13, 7 p.m. Community Bookstore, 143 Seventh Avenue in Park Slope, Brooklyn. Wednesday, March 14, 11:15 a.m.-12:40 p.m., Hofstra University, with Giovanna Calvino, daughter of Italo Calvino. Tuesday, March 20, 7 p.m., Book Culture on Columbus, 450 Columbus Avenue, Upper West Side. Tuesday, March 27, 7 p.m., 192 Books, 192 Tenth Avenue, at 21st Street, Chelsea. Click here to download our catalogue for 2017-18, featuring works from around the globe. It began as idle chatter. Two multilingual literature buffs met at a middle school spelling bee and talked about the foreign books they’d read that had never been published in the U.S. Why not, they thought, open a publishing house and translate their favorites? “But neither of us had any experience in book publishing,” said Michael Wise, a former Central Europe correspondent for Reuters. 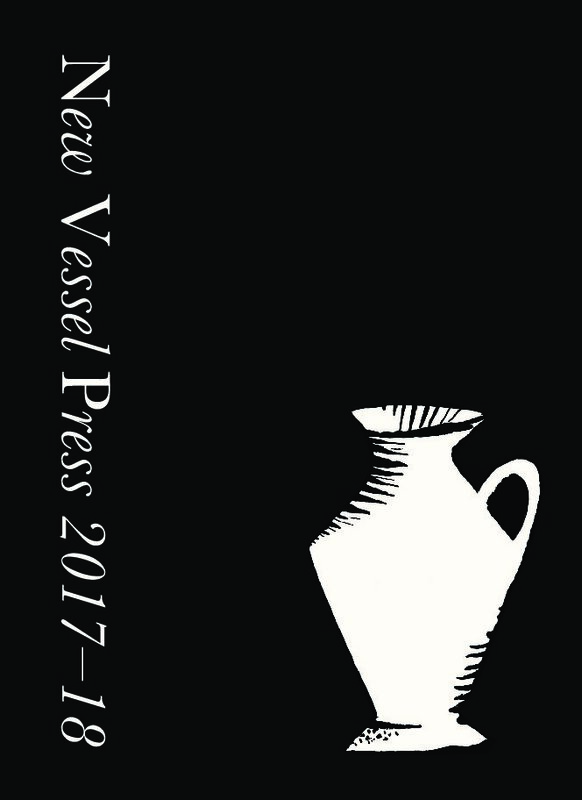 New Vessel Press, founded in 2012 by Wise and Ross Ufberg, then a Ph.D. candidate in Slavic studies at Columbia University and now an editor at online magazine BreakGround, translates and publishes six books annually. The pair pooled $100,000 of their own money to start it. The money went quickly to buying publishing rights, hiring translators and a cover designer (up-and-coming New Yorker cartoonist Liana Finck), building a website, publicizing their venture and paying for printing their first year’s catalog, all before a single book was sold. Finding manuscripts isn’t hard. Only 3% of books published in the U.S. are translations. The men travel to book fairs in Germany and the United Arab Emirates, get recommendations from friends and read voraciously—Wise is fluent in German and French, and Ufberg, in Polish and Russian. They have become a go-to outlet for foreign publishers. “We look for novels and nonfiction that put you in another place, give you access to another culture, transport you,” Ufberg said. “What we are doing is all the more important because of the politicians who would just as soon ignore the rest of the world,” said Wise. Their first book, The Missing Year of Juan Salvatierra by prominent Argentine writer Pedro Mairal, was named one of New Republic’s 10 best books of 2013. Oblivion, a dive into the legacy of Soviet-era prisons by Sergei Lebedev, was chosen by The Wall Street Journal as one of the top 10 novels of last year. “Every other book on that list was by a major corporate publishing house,” Wise said. Their latest is The Madeleine Project by French journalist Clara Beaudoux, who discovered a storeroom full of papers and photographs belonging to the previous tenant of her Paris apartment and reconstructed the woman’s life through a multiyear storm of tweets. “It’s a graphic novel of the digital age,” said Wise. “Ross and Michael have really spun gold out of nothing; they’ve really made an instant classic out of New Vessel,” said John Oakes, director of the New School Publishing Institute and co-founder of OR Books. Critical success aside, making money in the book business is tough. New Vessel lists books for $16, which are sold wholesale for $8, minus a $2 or $3 fee to the distributor. Translations can cost from $3,000 to $10,000, depending on the length and difficulty of the text and the renown of the translator. Grants from foreign cultural institutions cover about a third of the cost of translation. The partners say they are approaching profitability, with revenue in the low six figures. Their titles sell between 3,000 and 7,000 copies, and sales were up 40% from 2015 to 2016. New Vessel buys worldwide English-language rights, making some money by selling to publishers in Great Britain and Canada. Occasionally, New Vessel gets a cut when a title is optioned for film, like Killing the Second Dog, by late Polish writer Marek Hlasko. Actor Richard Gere helped convince Hollywood studio Tadmor Films to option the screen rights for the tale of two down-and-out Poles scamming lovelorn women in 1960s Tel Aviv, Israel. New Vessel stands to earn a six-figure fee. Another strategy is to find the next Stieg Larsson, the late Swedish author of the best-selling Millennium trilogy. 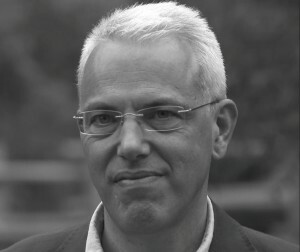 The pair sees potential in Martin Suter, a German-Swiss crime writer who sells hundreds of thousands of books in Europe. His art-fraud thriller The Last Weynfeldt, published last year by New Vessel, is the first of a three-book deal that Ufberg hopes will gradually seed the market. “Suter didn’t become the biggest-selling author in Germany overnight,” he said. A version of this article appears in the May 1, 2017, print issue of Crain’s New York Business as “Found in translation”. Click here to download our catalogue for 2016-17, featuring works from around the globe. 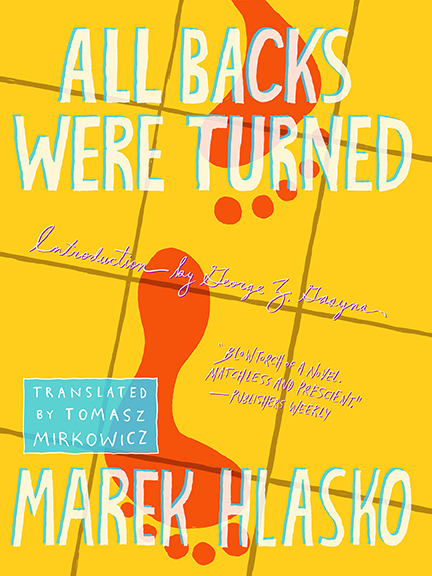 The following is an adaptation of the Introduction by George Z. Gasyna to All Backs Were Turned, the novel by Marek Hlasko that New Vessel Press published two weeks ago. 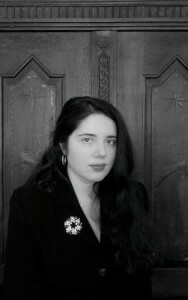 Gasyna is Associate Professor of Slavic Languages and Literatures at the University of Illinois. 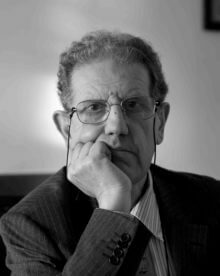 He has written extensively on 20th century Polish literature, exile and immigration, and Jewish-Polish relations. He is currently writing a book about modern Polish borderland literature. 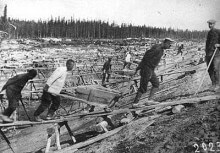 The inscription on the grave at Warsaw’s Old Powazki Cemetery reads, “His life was short, and all backs were turned.” Indeed, Hlasko was just 35 when he died – though years of eking out a marginal existence, frequently underemployed or resorting to what Poles of that generation called “black work,” and a penchant for running afoul of the law, all conspired to make him look like he was in his fifties. 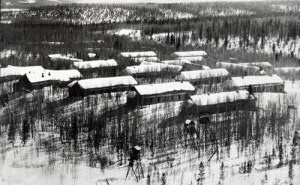 By most accounts (of those who knew and cared for him, at least), the final two or three years of Hlasko’s life were a period of intense burnout, the tail end of a spectacular career that had launched him, at mere twenty, as the foremost voice of his generation—a deeply troubled generation, traumatized by the horrors of Nazi occupation, the Holocaust, and the violent Soviet-backed communist takeover of Poland that followed—and simultaneously its chief iconoclast. 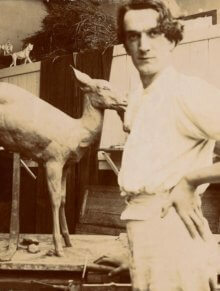 Hlasko began writing fiction while still in high school, and was publicly recognized early and often. He had movie star good looks, a roguish smile, and an ideologically “correct” past, having refashioned himself as an orphaned child of simple laborers, a housemaid and a fireman, when his father had in fact been a prominent attorney in interwar Poland. Hlasko said the right thing frequently enough when called upon and talked his way into the front offices of the premier state-run youth-oriented literary magazine, Po prostu [“The Way It Is”]. He was being groomed for his tenure as a shining star of Poland’s new socialist culture. Hlasko was to be the poet of the transport truck and the proletarian suburb, a writer of youth and possibility – within Party-approved boundaries, of course. This was a role he initially assumed with enthusiasm, and it paid big dividends for a time, in the shape of fellowships, interviews, cash awards, vacations at writers’ colonies on the state’s dime, and the like. Hlasko’s rise was meteoric; he became a legend in his own time, a paradoxical socialist brand. Yet he was hardly the slightly disparaging painter of everyday life of Marxist utopias-in-progress, as many critics maintained (at least in their public discourse). Rather, in a true Conradian idiom he sought to “make you see,” to partake in his own vision. And as the years passed, this vision diverged further and further away from the constraining dogmas of approved, formulaic “production novels”—novels that focused, literally, on “production” in farms and factories—towards dramas of power, lust, and revenge, dramas enacted between and among fallen men – men who are in turn elevated to the status of archetypes, symbols even. From 1959 until his death, Hlasko led a life of exile: his petitions to return home to Poland were ignored or rejected by the regime in Warsaw, and so he roamed around Western Europe and Israel. Soon, what had begun as youthful wanderings began to resemble an existential imperative. By consensus, Hlasko’s most intensely productive phase is the period between 1959-64, though even then, as an avowed “outsider,” he shuffled between West Germany and Israel. The texts either dating from or inspired by this chapter in his life, such as the short novel Killing the Second Dog (Drugie zabicie psa, available in English also from New Vessel Press), are unusually sparse, claustrophobic, oversaturated by color and light, and punctuated by images of surprising beauty which serve as a vivid counterpoint to the stark portrayals of brutality and humiliation endured by the down-and-out antiheroes. This semi-autobiographic world is a zone dominated by men, men who are often paired in their peregrinations so as to both complement and expose one another’s weak sides. In fact, all the protagonists of Hlasko’s oeuvre suffer from major handicaps. At the opening of the novel, co-protagonist Dov Ben Dov, a former Israeli Army officer who has fallen on hard times, is on trial yet again, this time for assault in a Tel Aviv club. When the presiding judge asks him for his name and demands that he answer whether he will plead guilty to the charges of “disrupting public order in the city of Tel Aviv on June fifth,” Dov fires right back: “No. As far as I remember, there’s never been any order in this city.” Conflict is in the very bones of Hlasko’s protagonists, and of his plots, and there are never any easy answers. Expansive and self-congratulatory male bravado fills the entire canvas, but it becomes clear soon enough that the root cause of Dov’s misfortunes, present and future—apart from his cantankerous, narcissistic father perhaps—is his spectacularly failed marriage. All the other men in the novel, whether friends, enemies, or mere bystanders, concur on this point. “She brought him down” is the laconic assessment of one of the peripheral men in the story, as he sits in a restaurant where he’s just met with Dov. “She did,” a passing waiter nods in fatalistic agreement. 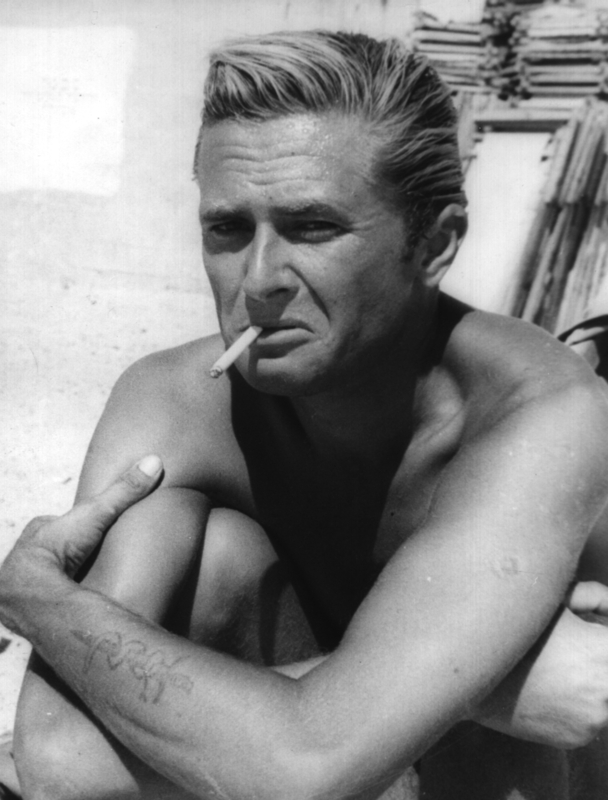 As noted above, Hlasko’s novels and shorter fiction, especially those produced in the late ’50s and early ’60s, are organized around two male protagonists who share the spotlight. We often encounter the two principals while they are already on the road, in the midst of a longed-for escape from their problems, which sometimes involves their participating in some elaborate swindle or dealing with similar reversals of fortune fate has thrown their way. And while they despise significant elements of each other’s personalities, they desperately need one another – much the same way as Beckett’s characters in Endgame or Waiting for Godot depend on one another’s presence even as they abhor it. The idea of setting out on the road with a companion constitutes a time-honored literary paradigm in the Western canon. Hlasko borrows liberally from the picaresque convention, but further sharpens his encounters “between men” through the cinematic twist of extreme close-ups, abrupt perspectival changes, and the deployment of recurrent objects that may foreshadow dramatic action. In All Backs Were Turned, for instance, stones play such a symbolic function, evoking—among other images—Christ’s parable on the doubtful virtue of guiltlessness and, more obliquely, the Genesis account of the contest between Cain and Abel. The protagonists engage in pithy sarcasm and constant one-upmanship – but the situation can also turn on a dime. The stakes are deadly serious, the categories of survival starkly elemental, leaving precious little room for maneuver. And justice, here on the frontier, ends up as a cruel handmaid of forces that our protagonists, preoccupied with scraping a living, with capturing happiness if only for a fleeting moment—and thus human, all too human, tragically human—are simply unable to grasp. Wrapped up in their fragile egos, engrossed in their dramas, their backs turned, they never see that stone coming. Nathaniel Popkin reviews three books by Marek Hlakso in Saturday’s Wall Street Journal, including the recently published novel Killing the Second Dog, available now from New Vessel Press. 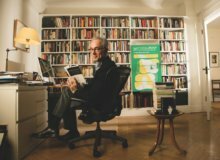 Learn lots of things from Nick Caistor, translator of The Missing Year of Juan Salvatierra, including why translation is a lonely business, in his interview here with World Literature Today. Read translator Yardenne Greenspan in World Literature Today discuss what it was like to translate a book as complicated, funny, and challenging as Some Day. Read an excerpt from The Good Life Elsewhere in BODY, an international online literary journal that features great photography and artwork, too.